We know meeting someone for the first time can be intimidating, and going to a new church for the first time can be nerve-racking. We want to help make your first experience at Great Bridge UMC a great one! Wednesday Night Bistro and Learning: Bistro at 5:45pm and Learning at 645pm. The first meal is on us! Great Bridge UMC is located in the heart of Great Bridge at 201 Stadium Drive, Chesapeake, VA 23322. We are directly next to the middle school. In total, a Great Bridge UMC services last about 60 minutes. Our Traditional Services begin with an organ prelude and music by the Great Bridge UMC choirs singing traditional music. The Contemporary Service begins with praise music led by the GBUMC Praise Band with song lyrics projected so that you can sing along and/or engage with worship however you feel most comfortable. Both services will offer the same relevant and encouraging message about Jesus, given by one of our pastors. What's the culture like at Great Bridge UMC? Sundays at Great Bridge UMC are for everyone! Come as you are and expect to feel welcomed as our guest. In our traditional services, some prefer to wear a suit and tie or dress, and others come in casual attire. At our contemporary service you'll find a casual and relaxed atmosphere with jeans. No matter which service you attend, we welcome you as you are! We believe that kids should have fun while learning every single week - and at Great Bridge UMC, we make this a priority. We also prioritize your children’s safety. We have a detailed check-in process for our children's program the first time that you visit. You’ll want to leave yourself an extra ten minutes to get signed in at one of our check-in kiosks. Nursery care is available for children from newborn to age 3, and relevant Sunday School class activities for students ages 3 through grade 5. Our Student/Youth Ministry is available for students in grades 6 through 12. Youth will meet together for worship during the Contemporary Service at 9:30am, and will gather for Youth Group at 10:45am following the service. 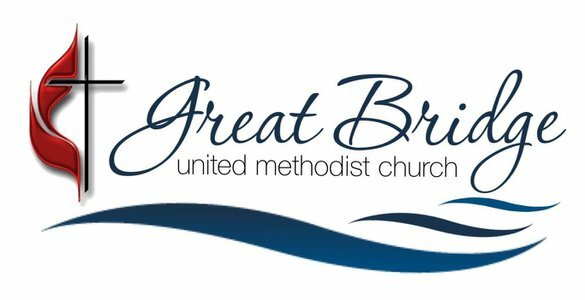 Ready to check out Great Bridge UMC? We can't wait to meet you in person. Fill out the form below and we'll make sure to give you the VIP treatment upon your first visit. Our greeters are ready to welcome you!